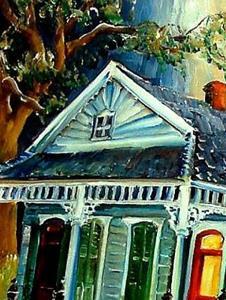 New Orleans' shotgun houses with all their trimmings are lovingly depicted in this colorful and lively original oil. It is painted in Diane's modern impressionist style with vibrant, rich pigments. No framing is required. The edges of the 1" deep gallery wrapped canvas are also painted, and a picture wire kit is included. This is a one-of-a-kind work, and a certificate of authenticity will be enclosed. 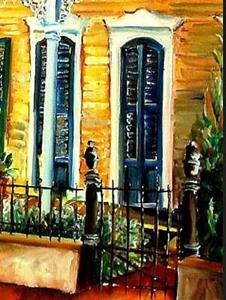 Diane's New Orleans scenes are widely distributed in print form, and this is an opportunity to own an original. ARTIST'S COMMENT: New Orleans is packed with wonderful architecture. 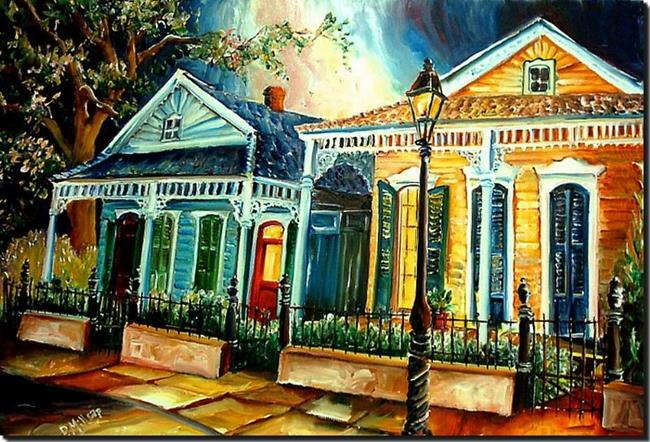 Neighborhoods, throughout the city boast homes that have a charm which is unique.